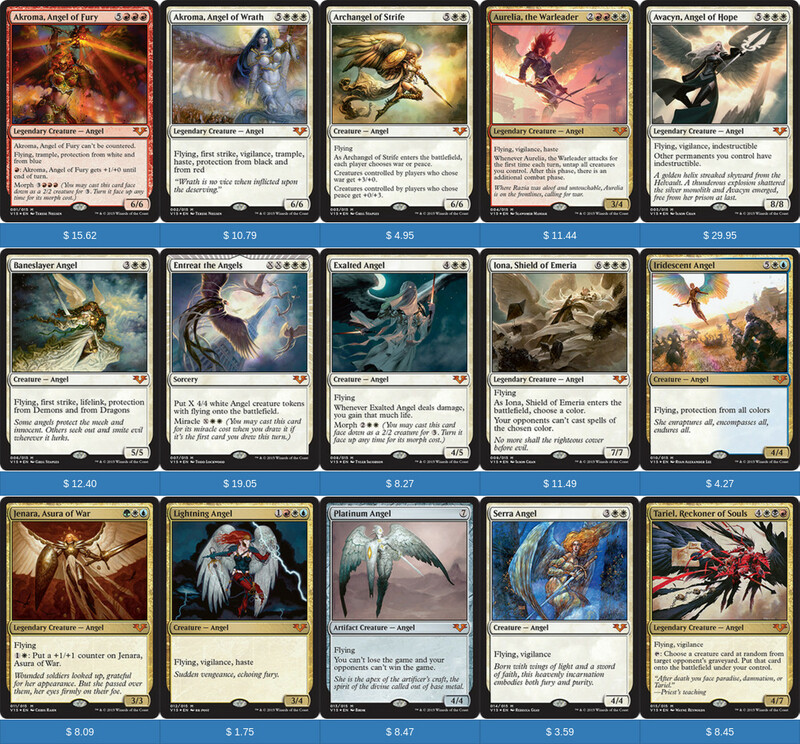 From the Vault: Angels was fully spoiled this week. We're less than a week away from its August 21 release. Have you preordered your copy yet? Pre-orders are going for about $75 on Ebay. View the Complete Spoiler. Are you a fan of tribal strategies? Do you like beating the best decks in Standard for $75? 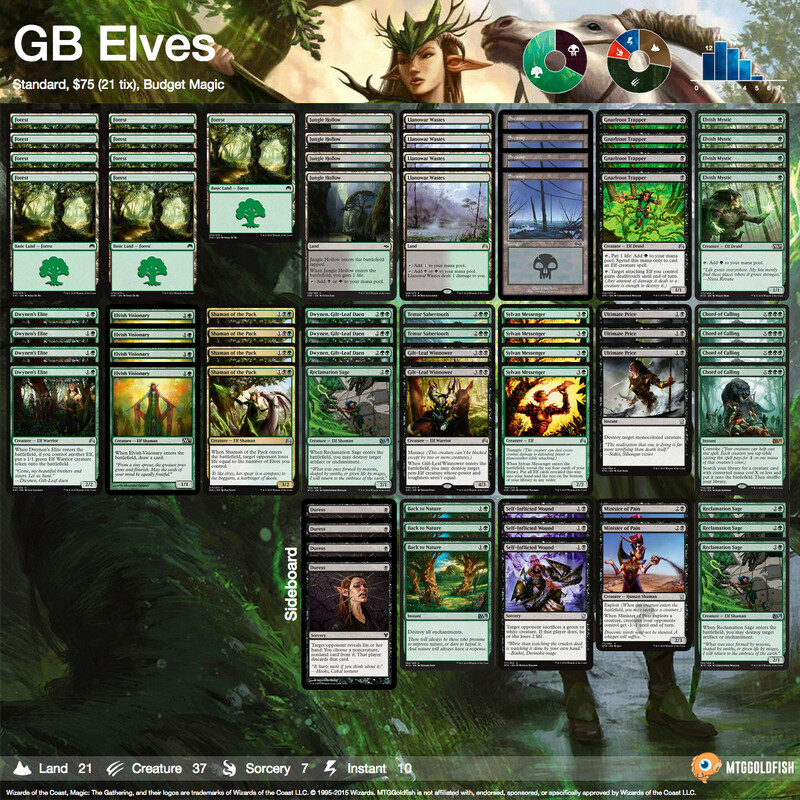 Give GB Elves a try! Budget Magic: $75 (22 tix) Standard Green Black Elves. (Note, since we posted the deck, the online price has nearly doubled to 40 tix, but the paper price remains the same at $75). We have major prices increases for all the important pieces of the UR Tutelage Mill deck which took down Grand Prix San Diego last weekend. Temple of Epiphany shot up 119 percent to $9.04, which is especially staggering considering the scryland sees almost no play in eternal formats and will rotate from Standard in about six weeks. 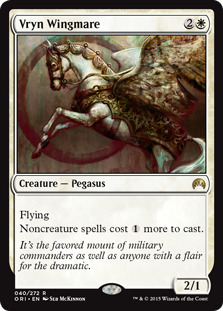 Meanwhile Sphinx's Tutelage is currently a $2.35 in-print uncommon after increasing 99 percent. The deck itself is in an odd place for this fall; while almost all of the card draw and the centerpiece will stick around until spring, without a reasonable replacement for Anger of the Gods and Whelming Wave, sticking with the Fog-less turbo fog plan will be difficult. 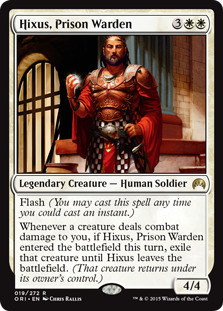 All of the Khans of Tarkir fetchlands (except for Windswept Heath) posted gains over the past seven days. The two blue fetches are the biggest winners in the group, with Polluted Delta up 16 percent to $23.01 and Flooded Strand up 7 percent to $18.29, but Wooded Foothills and Bloodstained Mire each increased 4 percent to $16 and $12 as well. This is almost undoubtedly the result of the "no enemy fetches in Battle for Zendikar" announcement, as players who are unwilling or unable to spend $80 on a single copy of Scalding Tarn turn to KTK for budget friendly substitutes. The Magic Online market has calmed after nearly three weeks of daily losses. Play Points went into effect on Wednesday and while the early reviews on social media were more positive than expected, it's worrisome that Daily Event attendance appears to be down significantly across all formats, especially for Legacy and Vintage. The Great Magic Online Crash of November 2013 was driven by a lack of consumer confidence and Daily Events going offline, which is almost where we are today despite the fact that DEs still technically exist. The next month or two is key: If we get an announcement that Daily Events will have their payout fixed and/or prices start to rebound, it might be time to buy to take advantage of low prices on staples. 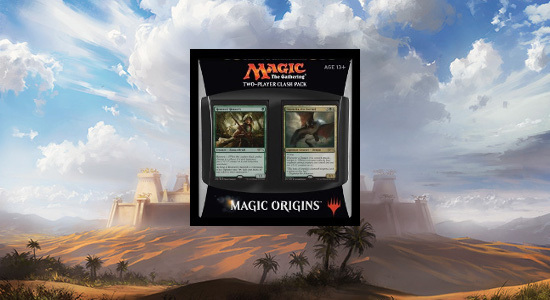 What Magic Origins cards have been creeping their way into legacy? Find out in Magic Origins in Legacy. 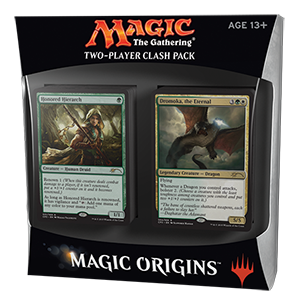 Need a Magic Origins Clash Pack? 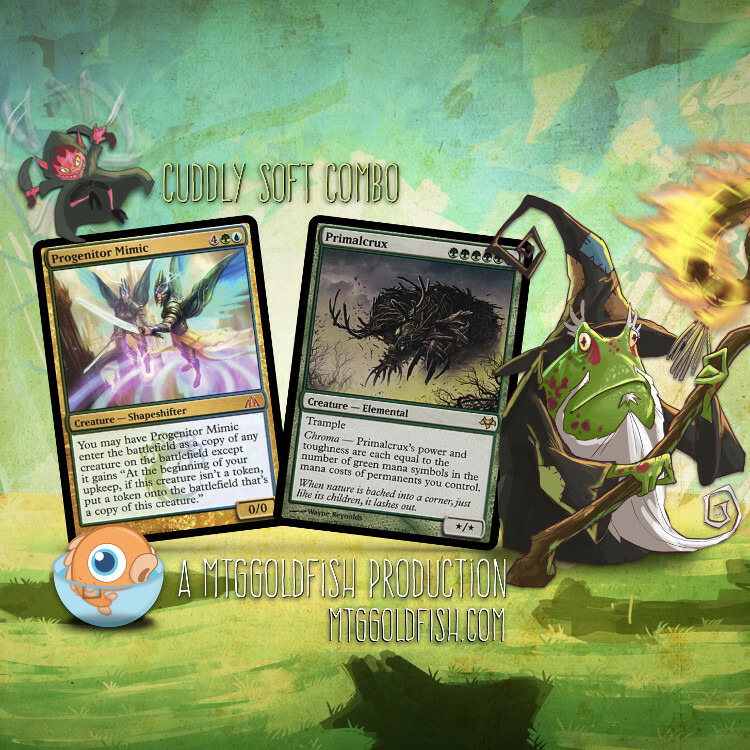 We're giving away a free copy in our Magic Origins Clash Pack Giveaway! Be sure to enter; contest ends August 24.